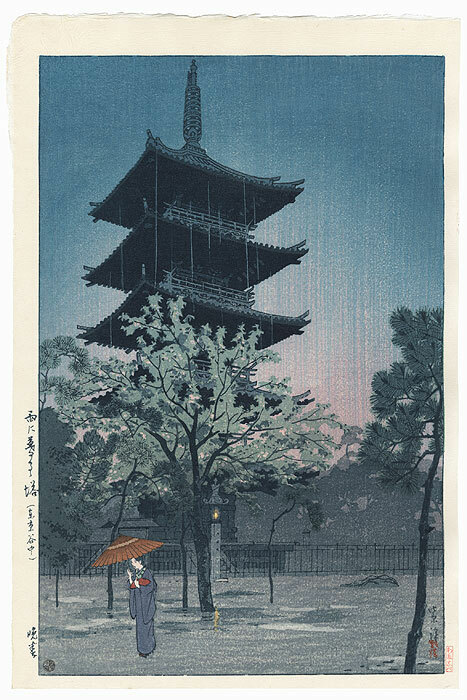 Comments - Beautiful, atmospheric view of Yasaka Pagoda during an evening rain. The sky is shaded a pinkish mauve above the horizon as the sun sets, the sky darkening overhead. 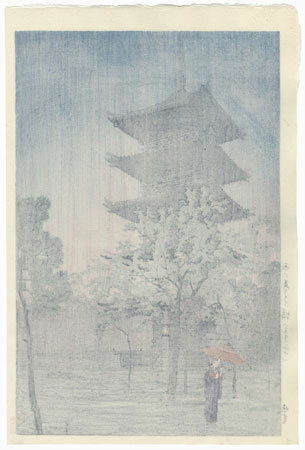 In the foreground, a woman under an umbrella makes her way across the grounds, the yellow light from a street lamp reflected on the watery surface of the pavement. 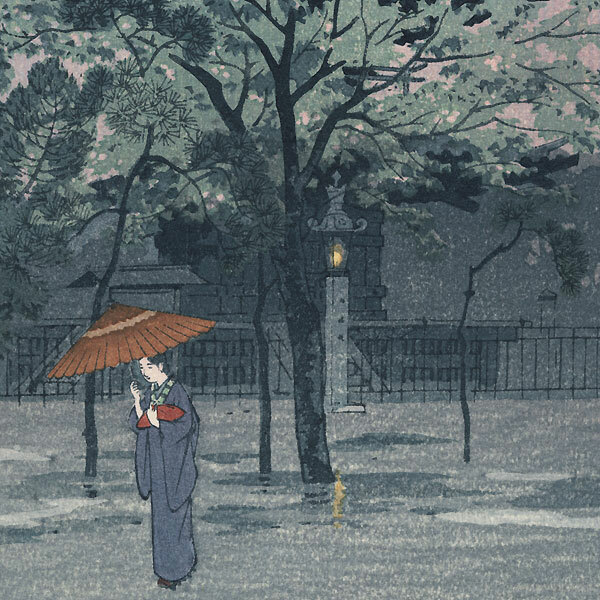 Lovely color and fine bokashi shading in this attractive shin-hanga design.